ALOHA! 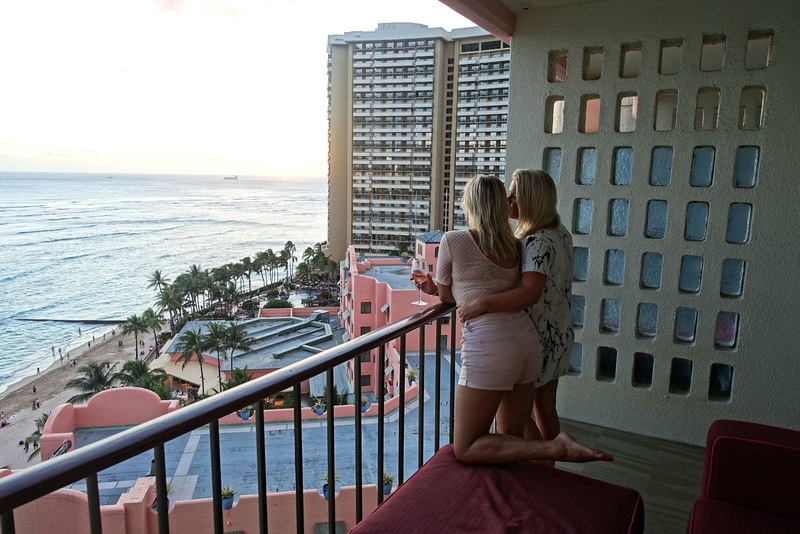 You always ask us for tips on where to stay in Hawaii. 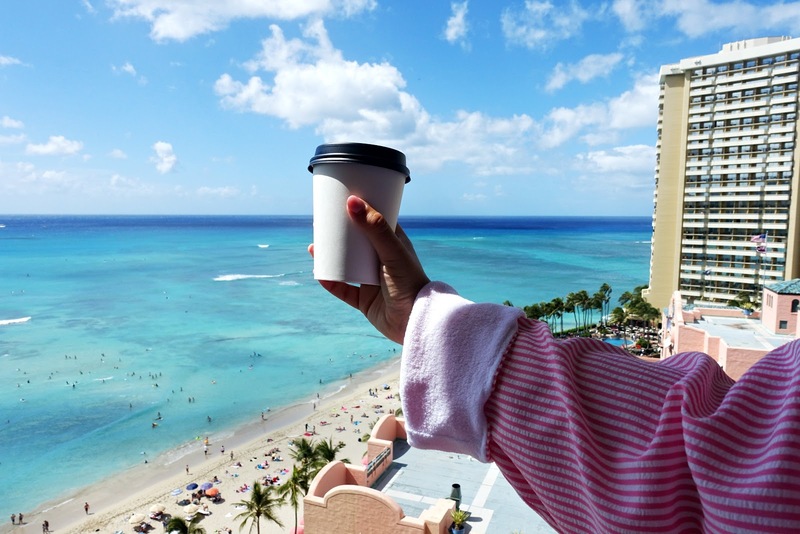 Our first recommendation is the Moana Surfrider, but honestly it depends if you're obsessed about pink (like us) because then the Royal Hawaiian is your first choice for sure! We love both hotels, hence why we made sure to stay at both of them on our trip so we didn't have to choose! 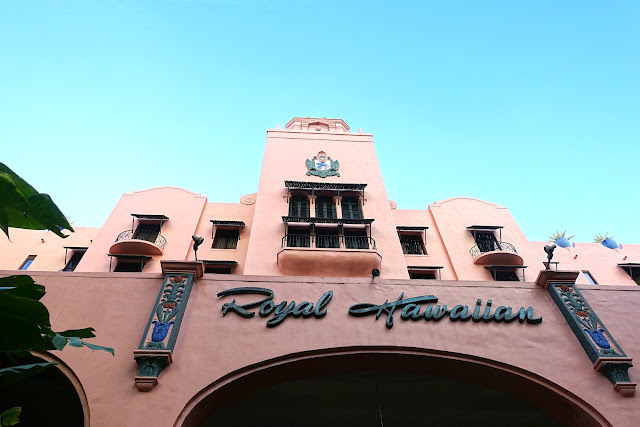 As soon as you pull up to the Royal Hawaiian, you can immediately see why it is called the Pink Palace. 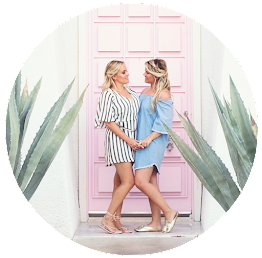 This was the first time we had stayed here (why we hadn't sooner, we can't even tell you) and we just loved every area of it. There is the gorgeous historical part and then the modern Mailani tower, which we stayed in. Mailani is a Hawaiian word meaning “treated in a royal manner.” If you stay in the Mailani Tower then get excited because you get free drinks & snacks every day. Yes, that's right! 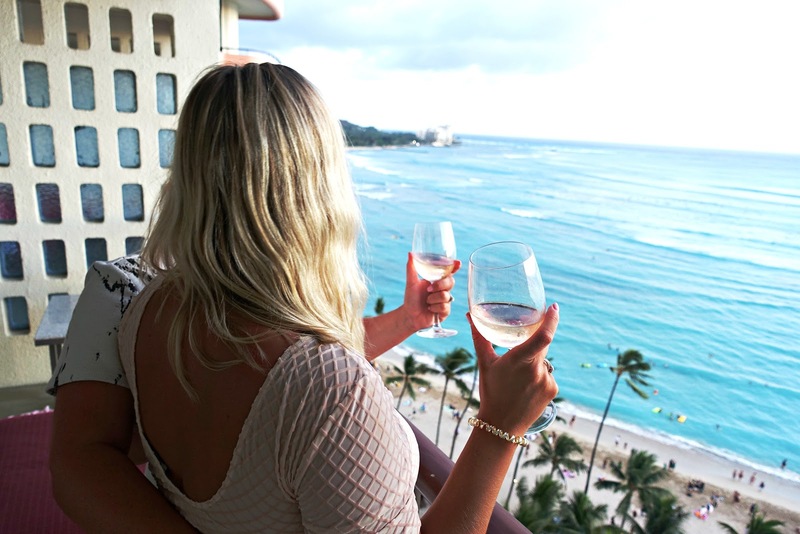 The view is absolutely ah-ma-zing of Waikiki beach, as well as the gorgeous original part to the hotel. If you stay in the tower then you also get to wear their fabulous pink striped robes. 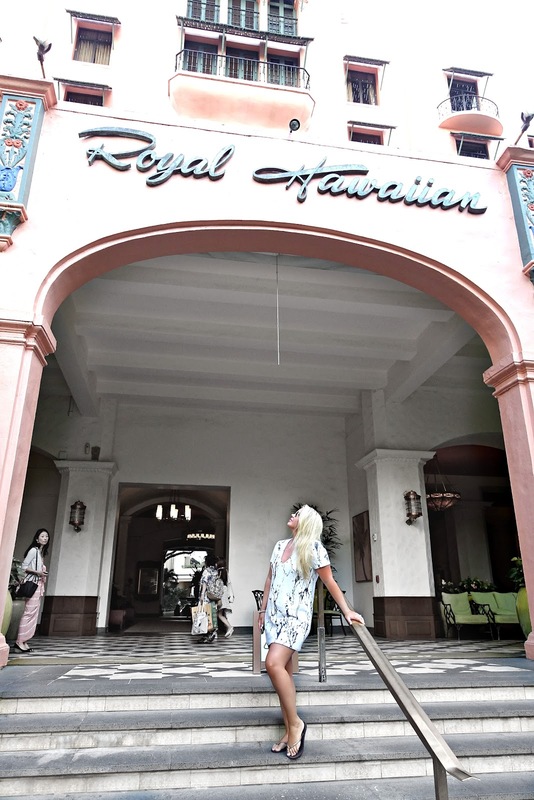 Exploring the Royal Hawaiian is like a pink fantasy with everywhere you turn, as well as amazing history. Oh and let's not forget the bakery that's on site! (You can get a couple of free bakery goodies as well). If you're looking to catch some Hawaiian rays then you can walk a few steps to the beach & rent deck chairs, or choose to sit by the water as we did. Alternatively you can chill at the Royal Hawaiian's pool, we love their cabananas that you can rent. You can order pool side snacks as well, Whitney ordered their ahi trio. If you're looking for some tasty authentic Mai Tai's or a snack, then the Mai Tai bar on site is the perfect place to be. Fun fact: In 1953 the Matson Navigation Company commissioned Victor Bergeron to create a drink for their new hotel The Royal Hawaiian. Trader crafted it for some friends who were visiting from Tahiti, who then cried out, “Maita’i” the Tahitian word for “good”. Trader Vic then made a variation on the Mai Tai recipe adding pineapple juice, which is still served today at the hotel. Plus, if you're lucky, you'll get a sneaky peek at their amazing 'Aha'Aina, which honestly we'd highly recommend if you're looking for a beautiful Luau (though they are similar but different). Everything is so pink and so cute. 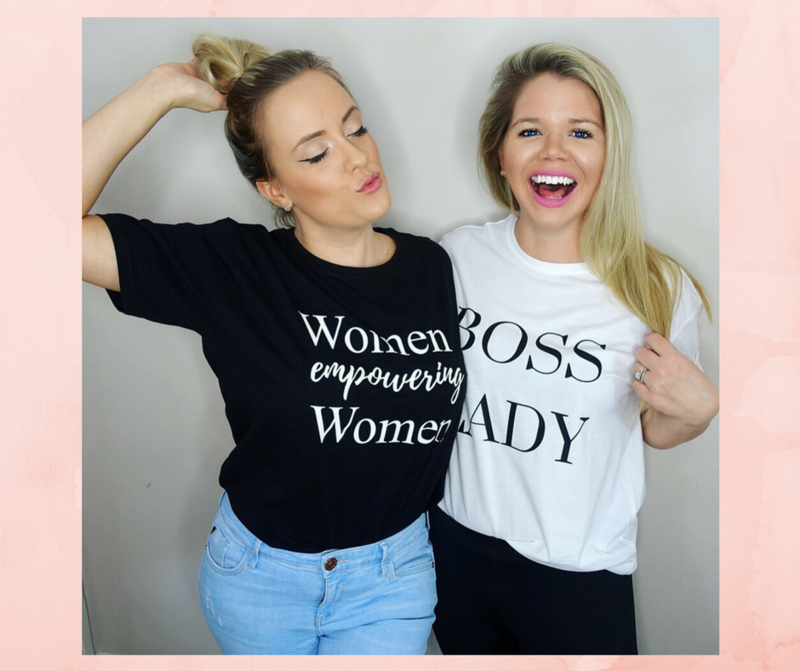 If you're like us, then you'll want to buy everything! 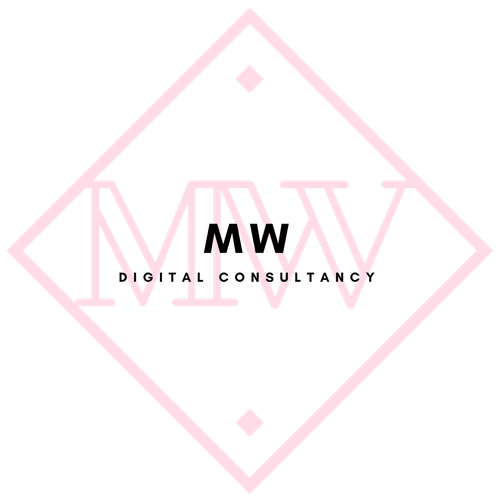 You may be wondering why is it pink? This is due to the Spanish-Morrish style influenced by screen star Rudolph Valentino. Mahalo Rudolph! Mahalo for having us Royal Hawaiian! 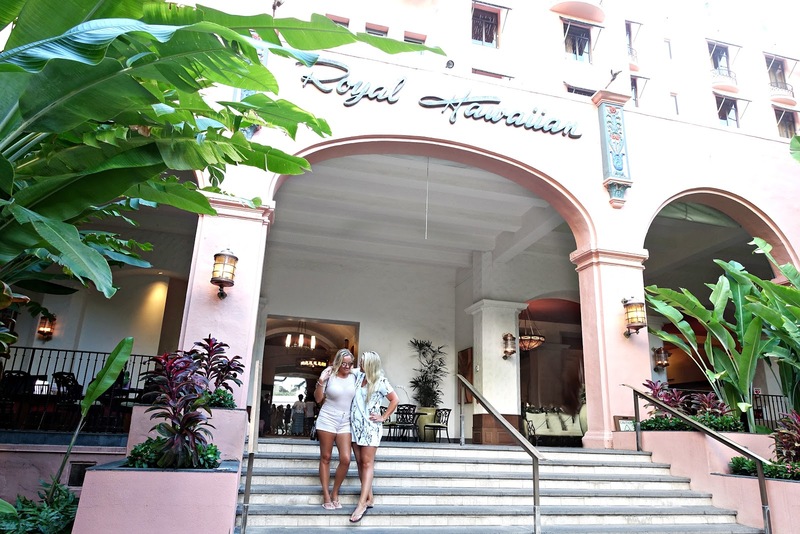 We hope you enjoyed our review of the Royal Hawaiian and let us know if you stay there! 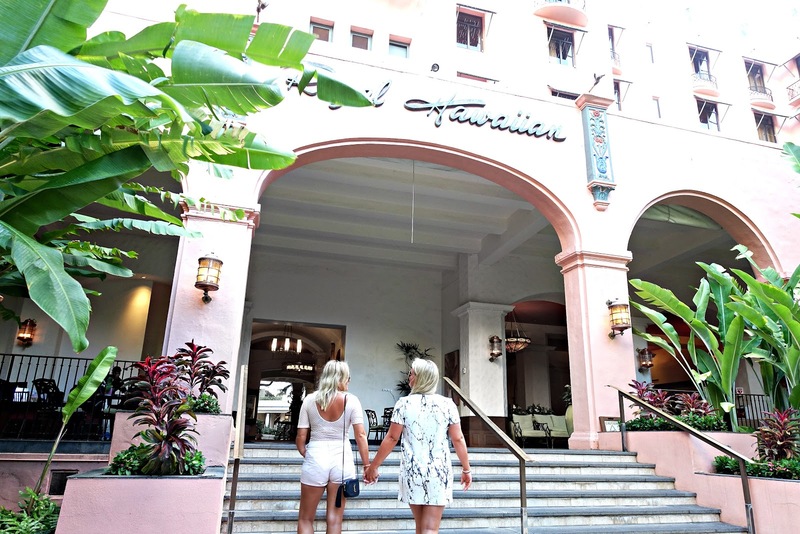 *This blog post is in collaboration with Go Hawaii UK and sponsored by the Moana Surfrider but all reviews are 100% honest. We have loved this hotel for years. 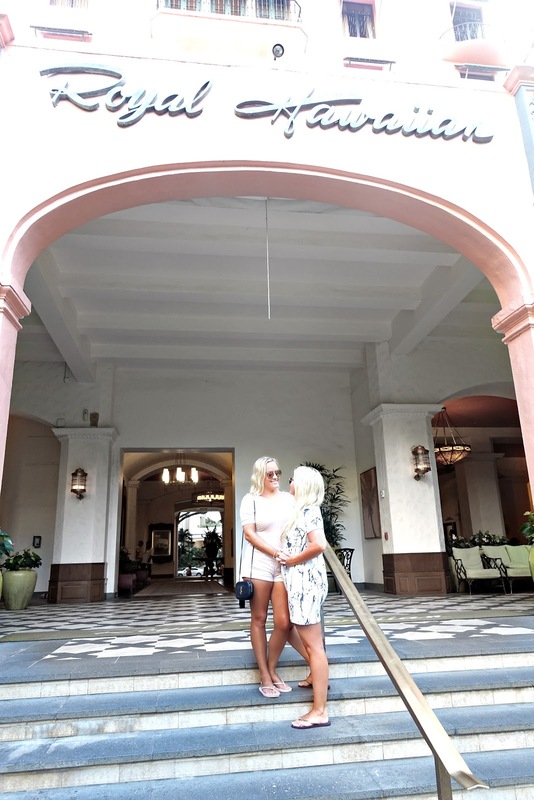 Check out our vlog from Hawaii, which includes our stay at the Royal Hawaiian!